The first, and arguably most important, part of our mission is Biblical Focus. More than anything, we desire to see people draw closer to God. We genuinely believe that the Bible is God’s Word and it is our ambition to obey and live according to Scripture in every decision we make as a staff. Our mindset needs to be centered on the things Jesus taught and how He lived His life. 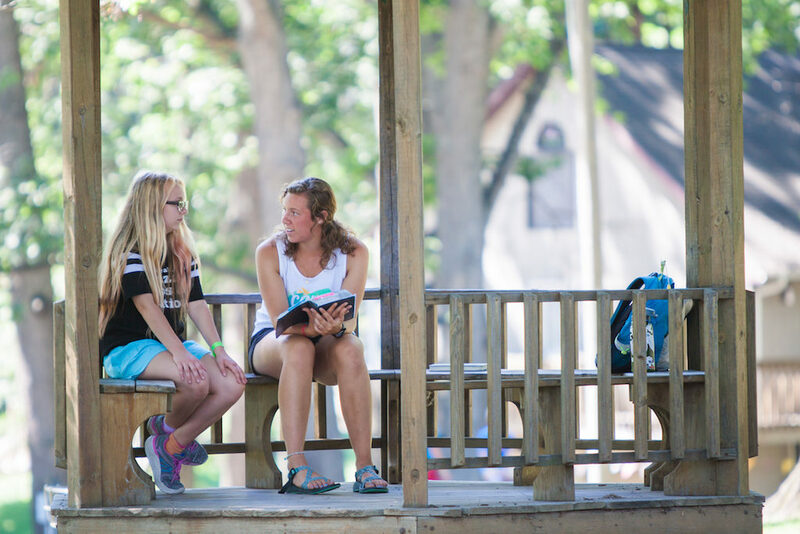 Biblical focus is a huge part of our programmed events such as Man Camp, Women’s Retreat, Summer Camp, and Ice Camp. We are confident that the speakers we bring in will preach God’s Word during these retreats. We not only strive to share the Word with our guests but also teach them how to read the Bible on their own. Spending time in Scripture should be a habitual discipline, and so we want to prepare men, women, and kids to continue reading their Bible when they leave this place. We hope to see guests become devoted followers of Christ and to grow in their relationship with Him. Like we said in our earlier post, every part of our mission is centered on glorifying Christ and lifting His name high. Over the next few months, we will touch on the other four parts of our mission and how they, along with Biblical Focus, all play into our ultimate purpose of facilitating life change by helping people grow closer to God.